Monday, May 6th at 9pm central Lisa Biales chats with Vinny Bond. All shows become podcasts after they air and can be downloaded at my website www.musiconthecouch.com or you can subscribe at iTunes (search Vinny Bond) Come meet "Musicians You Should Know"
Lisa Biales Trio with Doug Hamilton and Michael G. Ronstadt. Music starts at 2pm with Wild Carrot, Bad Men On A Mission, Bill Littleford Jazz Trio, Us, then Hickory Robot. Come join the fun all day long! Saturday, May 25th at 8pm Big Song Music House Presents!
. . . an international project born out of a love of traditional music and classical elegance. Oleg Kruglyakov and Terry Boyarsky have joined forces to perform exuberant, compelling, uplifting concerts. From Russian roots to classical favorites, from vocals to ragtime, the Russian Duo is a magical collaboration between virtuoso balalaika and concert piano, creating a vibrant, cross-cultural musical experience. $20 at the door. Please reply to this email to let us know you are coming and we will save you a seat. Doors open at 7pm for potluck. Spinoza's Gourmet Pizza and Concert House presents! Spinoza's 2727 Fairfield Commons Blvd. Oxford's coolest place to hang out this summer. Oh yeah! Big Song Music House Presents! The Tillers got their start in August 2007 when they started thumping around with some banjos and guitars and a big wooden bass. 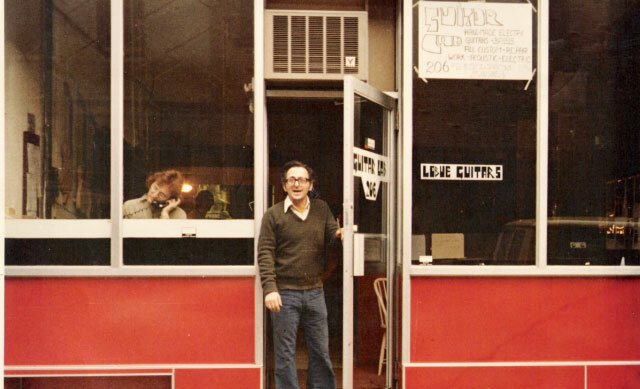 Their earliest gigs were for coins and burritos on the city's famous Ludlow Street in the district of Clifton. The songs they picked were mostly older than their grandparents. Some came from Woody Guthrie, some were southern blues laments, and many were anonymous relics of Appalachian woods, churches, riverboats, railroads, prairies, and coal mines. Doors open at 7 for potluck. $20 at the door. Please reply to this email so we can save you a seat. "Singing In My Soul" Gets Great Reviews! It's always good to step aside from the clamor of the masculine mystique in the blues and visit with the ladies. 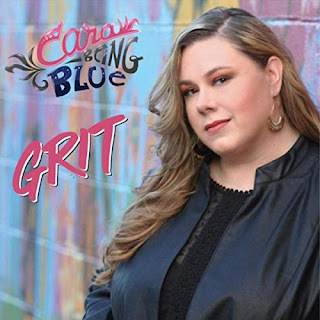 So here is my latest visit to the 'soft side' (ha-ha) of the Blues featuring three wonderfully talented artists who surely will make you sit up and take notice of their ample talents. One of the most quoted idioms in the Blues world is "if you are going to cover a song, make it your own'. Easily said, not so easy to do. With this release Ms. Lisa Biales (Be-Alice) gives a lesson on how to do it and do it right. One of my all time favorite songs is the Mississippi John Hurt ditty 'Let The Mermaids Flirt With Me'. With this version Ms. Biales captures a different aide of the tune and make it flighty and more fun than should be allowed. With a voice that rings clear and spot on she adds a not-so-subtle touch of joy that uplifts us in the moment of and carries us right thru to the end. With a old school rock & roll approach Lisa once again lifts us to the rafters, with her version of Sister Rosetta Tharpe's 'Strange Things Happening Every Day'. 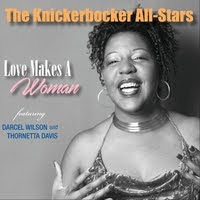 There seems to be a connection back to Ms. Tharpe's version, with it's rockin' gospel treatment, but done in a style that fits Lisa and the Paris Blues Band (yes, they are from Paris, France). 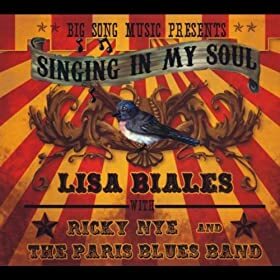 A superb take on the classic doo-wop song 'I Only Have Eyes for You' allows Ms. Biales to work her ability to sing ballads as well as her more uplifting songs. This works especially well in terms of the arranging and artistry that the bands imparts keeping it on the down low and you can just smell the smoke and taste the extra dry martini's in the shadow laden club (or studio). From the doo-wop to the 'do-how' we get treated to "You Got To Know How'. Originally penned by the amazing Sippie Wallace, Ms. Biales keeps the historic time period of this track in tact with rolling piano by Cincinnati's favorite Ricky Nye (who also produced this release) and a down 'n' dirty treatment from the Paris Blue Band, dang I swear I hear a tuba on this track, that's how cool the treatment is. There is one original tune from Ms. Biales, 'Magic Garden' is a tasty walk thru this magic garden of hers that seems to be chock-filled with earthy delights and eternal renewal for everything that resides inside it. It is also worth noting that this track fits in so well with the overall feel and texture of the release, not an easy task to do. There seems to be a natural fit with Ms. Biales and her band that transposes to the release. I can just see them sitting in the recording room/studio over one mic and sharing, laughing, and making historic music to share with us all. Pick up your copy of "Singing In My Soul" at one of the above events, at CD BABY, or at The Wild Berry, 15 W. High Street, Oxford, Ohio 45056. Friday, August 16 Carolyn Wonderland at Big Song Music House, Oxford.